We love everything about New York City: the bustling flow of people, the high energy, the bright lights, and that sophisticated, fresh feeling in the air that is unlike any other. Khadija, born and raised in NYC, loves her hometown so much she’s even paid homage to it in a tattoo of the A train on her arm! So it made perfect sense when she said she wanted to incorporate the effortless elegance and vivacious energy of the Big Apple into her wedding. 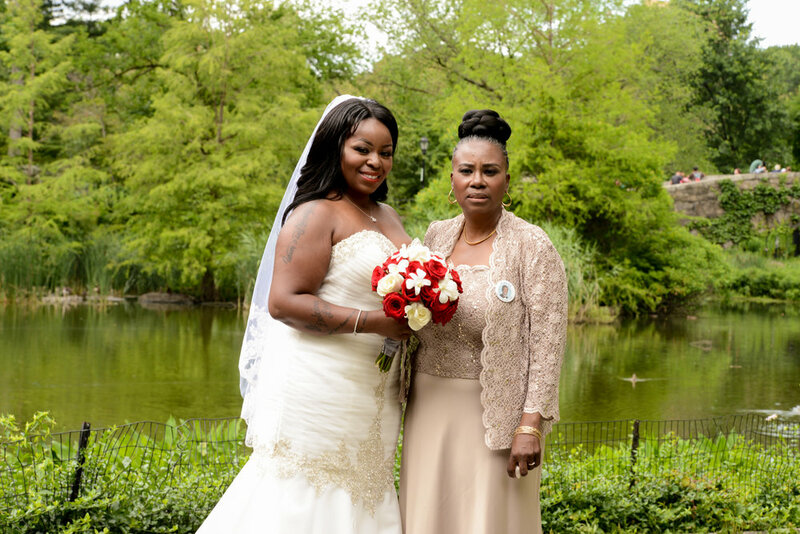 She and her fiancee Andre, originally from Jamaica, wanted a Manhattan wedding—but when that wasn’t possible, we brought Manhattan to them. Held on July 10th of this past summer at Tosca Marquee in the Bronx, the wedding was enchanting, fun, and so very New York. Khadija left everything in our hands, so we had the ultimate freedom to make the couple’s special day a truly memorable one. With a palette of white red, and lavender—an unexpected, yet very sophisticated, twist—we were able to bring together a metropolitan affair that was both impressive and intimately sweet. The bride wore a lovely mermaid gown by Mori Lee that was quintessential New York: stylish, classy, and with just the right amount of sparkle to make a statement. Evelisa Floral Design created beautiful bouquets and boutonnieres of white roses, red roses, and white orchids for simple, tasteful accents that really popped against the bridesmaids’ pewter dresses and the groomsmen’s charcoal suits. For the three flower girls—Khadija's daughters—Evelisa designed absolutely precious floral crowns of baby’s breath. The ceremony was one of the sweetest we’ve ever experienced. The glowing bride was escorted down the rose-petal lined aisle by her mother. 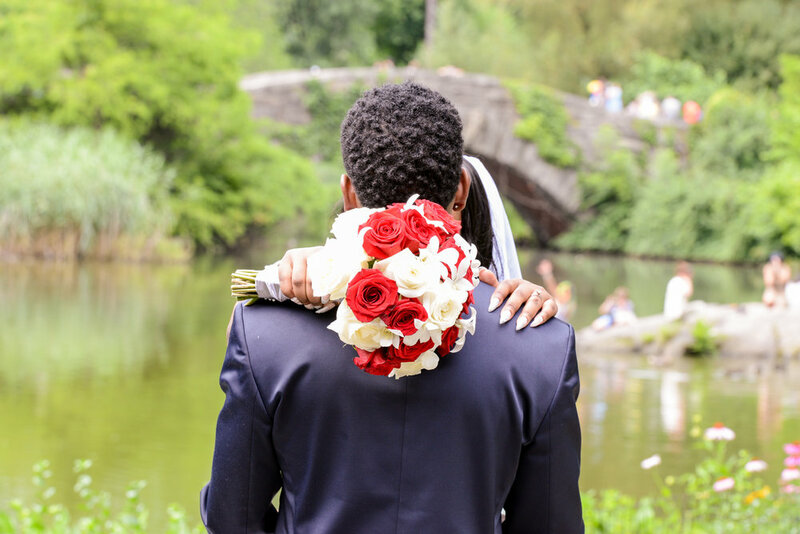 The officiant incorporated the children with a tree unlocking rite, symbolizing the joining not just of Khadija and Andre, but of their entire family. We were able to create two separate spaces for the ceremony and reception in a single room, which allowed for an effortless flow into party mode once the union was sealed with a kiss. Spotlighted dendrobium orchid sprays added instant impact on the reception area tables, while mood lighting in purple and red really streamlined the entire color theme. 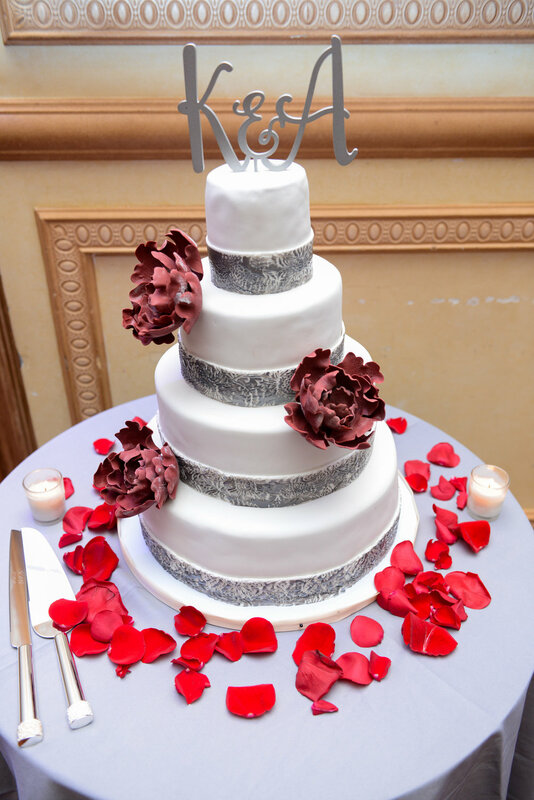 The stunning cake, designed and created by City Sweets & Confection (read more about this cake and other favorites in our previous post), was the perfect mix of contemporary chic and classic glamour. 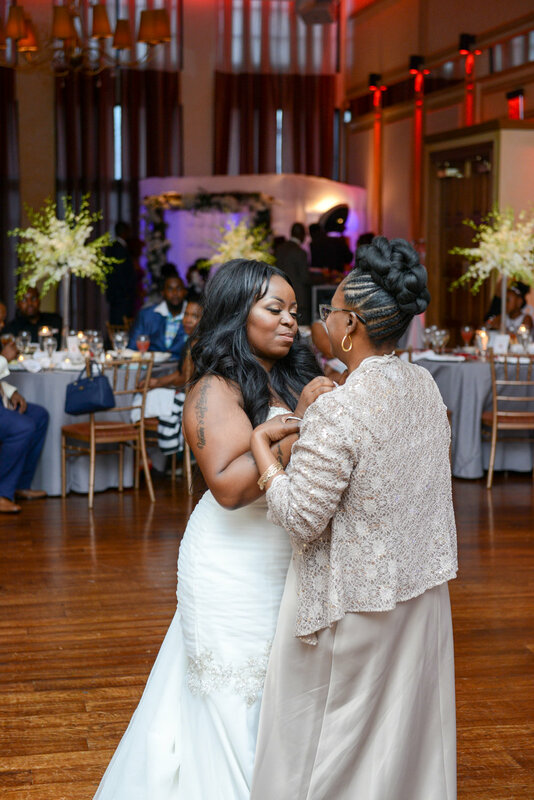 After a charming first dance between bride and groom, guests did not shy away from the dance floor, spinning, stepping, and shimmying the night away. We always love a wedding where guests are unafraid to get their groove on! With a few cheeky moments and loads of laughter and love, the reception was the perfect conclusion to a perfect wedding. 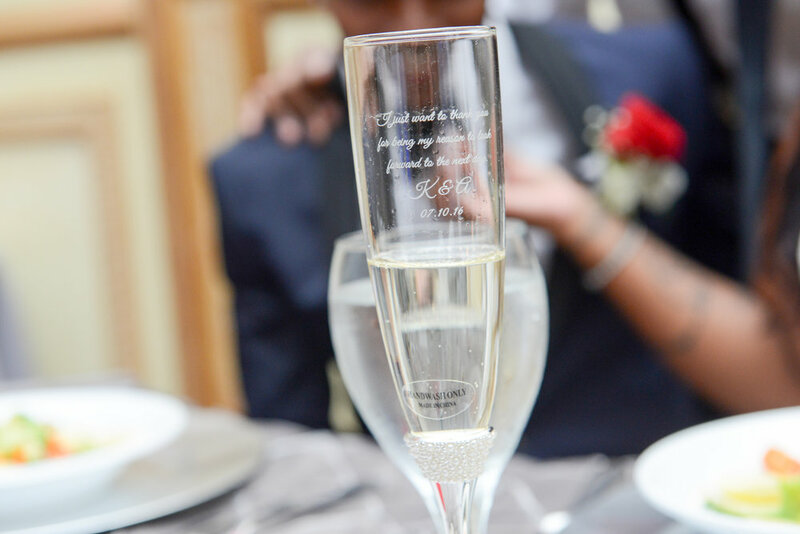 Weddings like Khadija and Andre’s remind us of why we love what we do. Here at Björn & Company, we take pride in creating weddings that reflect the unique character of each couple, their style, and their vision. With years of experience in executing weddings of all sizes and styles, we know exactly how to bring any and every idea to life! To learn more about our wedding planning services, click here.